A candy company created by dental professionals. We know…it sounds crazy, but it’s true. 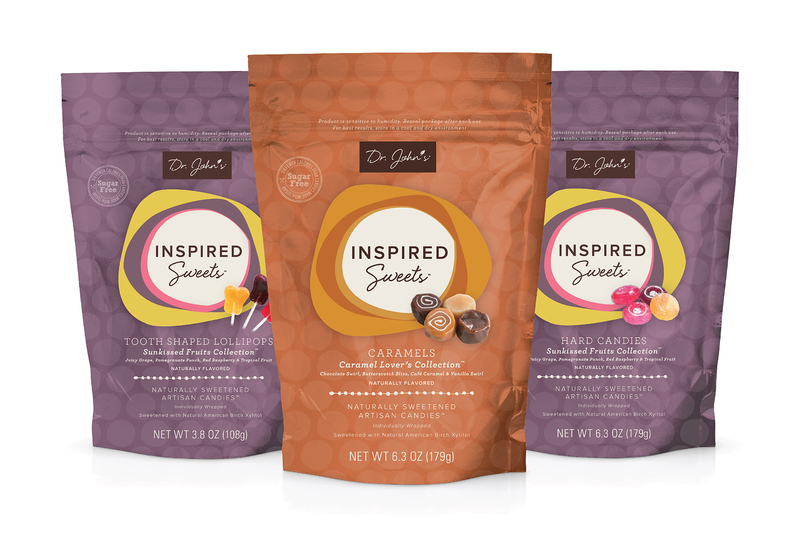 An award-winning dentist of more than 30 years, Dr. John, and his dental hygienist wife have created an innovative candy collection of lollipops, caramels, chocolates, taffies, hard candies, gums and mints that are made with natural American birch xylitol instead of sugar. Not only are they a healthier alternative to traditional sugar candies, they’re actually prescribed by dentists to help combat tooth decay. 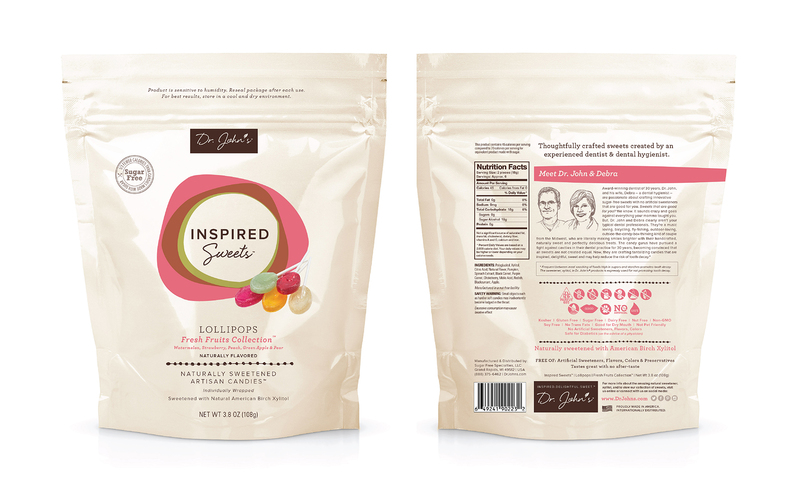 With natural ingredients, and no artificial colors, flavors or preservatives, this candy company is attracting the attention of health-conscious shoppers across the globe who are conscious about gluten-free, sugar-free, dairy-free, nut-free, non-GMO, soy-free, no trans fats and kosher diets. Dr. John’s has been around for nearly a decade, but Candour helped them rebrand their company in an effort to appeal to a more health-conscious, natural and sophisticated shopper. With offices in the United States and Japan, these sweet little treats are distributed all over the world and can be found in many health food stores; primarily on the West Coast. 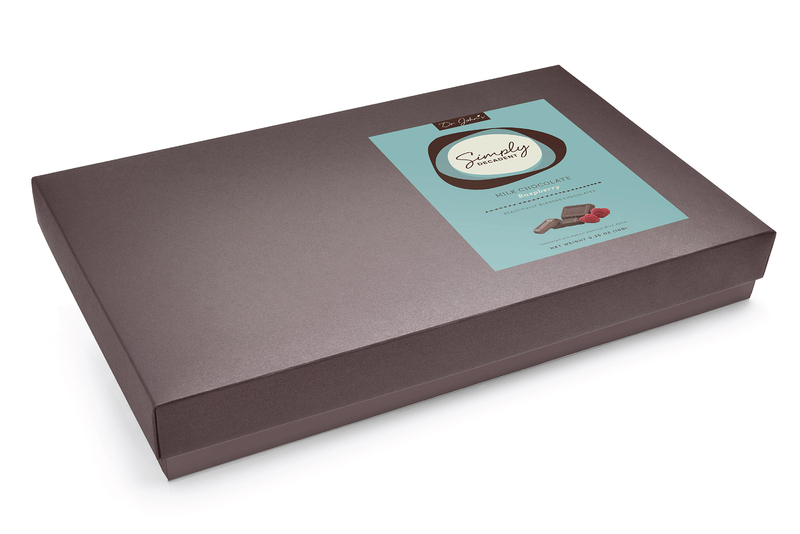 The redesign we did of their packaging was so well received that NBC used it in the backdrop of their set for the hit TV show, Superstore. As you can imagine, we’re humbled and honored.